The PUBLIC TRUST Doctrine (PTD) asserts that natural resources are publicly owned and held in trust for all citizens. This avows that no sovereign government included—can own public assets. These resources/assets include oceans, designated ocean fronts, rivers, natural gas, wildlife, etc. The tenents of the PTD are deeply rooted in history. They date back to ancient Rome and were adopted by the British Empire in the 13th century via the Magna Carta or “Great Charter.” This Charter carried over the United States and is the antecedent to our national and state constitutions. Free range wildlife are considered to be publicly owned resources whereby every resident and citizen is an equal proprietor and stakeholder. Although wildlife and game animals are a publicly owned resource, they are under the statutory control of a small and shrinking special interest group—hunters. N.J.S.A. 13:1B-24 dictates that the wildlife trustees, the Fish and Game Council, be a body of eleven members. Six are hunters, three are farmers –also hunters. The remaining two members are the chair of the Endangered and Non-Game Species Committee, and a person knowledgeable in land management. Why then are New Jersey statutes able to countermand this basic doctrine? Clearly, the trustee membership is narrow, biased and without regard for disparate public views and values, as per the spirit of the PTD. Council members are not democratically elected to represent the broad populace who are equally entitled as joint owners of the wildlife resource. Clearly, for decades in NJ, citizens have shown themselves to be exceedingly interested in wildlife and attempt to influence management policy. Stakeholders participate within the established system of public hearings, public comment periods, and unsolicited correspondence. These prove to be consistently inconsequential, even when the majority opinions submitted dissent to proposed wildlife policy. Yet, on two separate occasions, one hunter’s request resulted in policy changes in the Game Code, demonstrating prejudicial adoption. The majority of stakeholders have protested hunters’ special interest control in all ways: lawsuits, legislation, public demonstrations, even civil disobedience. Historically and today, NJ statutes violate both the spirit and basis of the PTD. One proof is in N.J.S.A. 23:1B-25 that calls for the “broadest representation of sportsmen” but eliminates representation of the majority of joint owners—the non-hunting public. The violations to the PTD regarding wildlife management are not just about wildlife. It is about severely flawed government. The failure of NJ to meet its obligations to the PTD resonates at the foundation of our democracy. The failure of NJ to give broad representation to wildlife policy perpetuates the unjust privilege that was granted over a hundred years ago to hunters and farmers. Those historic reasons why hunters and farmers were given authority over wildlife no longer exist and can no longer be justified. We can no longer tolerate this severely flawed inequity; the statues are indisputably archaic and undemocratic. Since 2004, all NJ taxpayers fund the management of wildlife, yet 99% have no consequential voice in policy making. Further proof of violation to the PTD is that policy made by hunters for hunters fails to manage wildlife for the public benefit—the basis of PTD. This is proved by their management of deer for population increase and stabilization in 59% of Deer Management Zones (DMZ). The Division of Fish and Wildlife (DFW) objective is for hunter success, satisfaction and economic gain. The DFW is dependent upon hunting license revenue to fund the hunter-controlled agencies to continue to finance recreational hunting activities. By maintaining this priority, the DFW has proven its disregard for: public safety via vehicle-deer collisions, the economic loss of crops, nursery inventory, private landscaping, the ecological imbalance in forests, etc. etc. PUBLIC TRUST Wildlife Management aims for state wildlife management reflective of democracy and public opinion, bona fide science and public trust. PUBLIC TRUST Wildlife Management will expose and amend the entrenched undemocratic, legal, political, traditional, archaic biases and impropriety. PUBLIC TRUST Wildlife Management enacts research/investigations, public education, lobbying, legal petitions and other initiatives to achieve its mission. To learn of campaign progress and initiatives, please register with: PUBLICTRUSTWildlifeManagement@verizon.net. Coalition for Animals is a 501(c)(3) organization, so donations are fully tax deductible and ALL donations go directly to our programs supporting the animals. Donate your Car, Boat, Truck, RV, Jet Ski or Snowmobile to Coalition for Animals and receive a tax deduction. This no cost, no hassle process begins when you contact our fundraising partner, Donation Line, LLC at 877-227-7487. Make sure to ask for our extension 2897. or you can click here, “Donate Car” to donate online now. Please support us by purchasing your pet food and supplies from Chewy.com using the link below. Place your first order and they will donate $20 to Coalition for Animals! Coalition for Animals is very honored to be endorsed by an award winning environmental leader, animal activist and respected actor that shares our passion for the animals and the environment. “Coalition for Animals is giving a voice to those who have none. 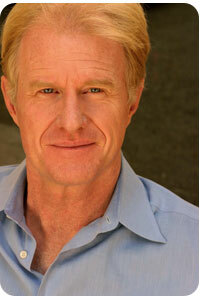 And for that, they have my undying support.” Ed Begley, Jr.